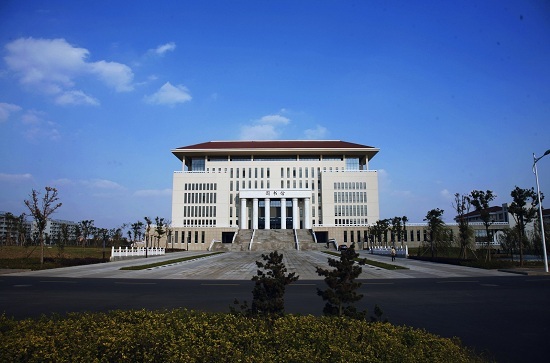 In 2002, the Jiangsu Provincial Government decided to amalgamated Nanjing Polytechnic University and Nanjing Agricultural College following the approval from Ministry of Education of the People's Republic of China. 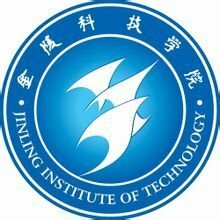 Jinling Institute of Technology (JIT) began operating in June 2002 as an undergraduate tertiary university aiming at the commitment of cultivating competency-oriented talents coupled with practicing skills. 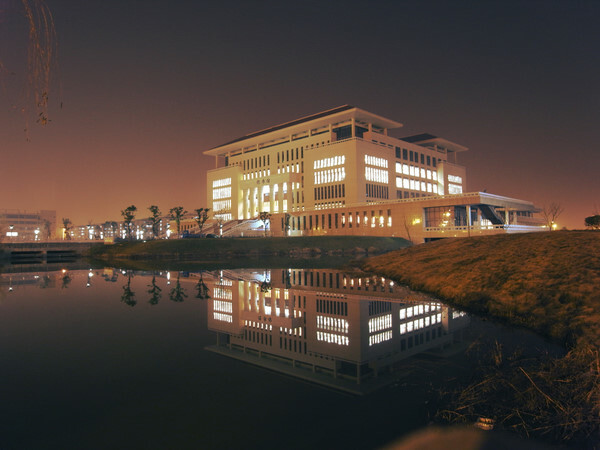 With the total construction area of 500,000 square meters, JIT occupies an area of 106 hectares consisting of Baixia campus, Mufu campus and biggest Jiangning Campus located in Colleges Township in Jiangning District. The collection of holdings in JIT library reaches as much as 1,010,000 volumes and 1,130,000 electronic materials. There are many on-campus teaching facilities worth 1400,000,000 RMB in number. JIT has a full-time enrolled student population of 19,000 and offers a range of specialties involving Economics, Humanities, Engineering, Agriculture, Management and Art in 37 undergraduate degree programs. As one of leading universities in Nanjing, JIT consists of 11 faculties and 3 divisions including Business School, Faculty of Humanities and Social Sciences, Faculty of Horticulture, Faculty of Animal Science and Technology, Faculty of Mechanical and Electronic Engineering, Faculty of Architecture Engineering, School of Arts, Faculty of Material Engineering, Faculty of Information and Technology, College of Foreign Languages, Longpan College, International Education College, Further Education College and Department of Fundamental Courses. Nearly 1100 highly-qualified faculty members and staffs are working in the JIT. A lot of them are awarded "National Top Lecturer", "Special Government Allowance", "Provincial-level Young Scientist of Outstanding Achievement", "Provincial-level Star Teacher". Scores are selected into the list of "Top Scientists of Project 333" and “New Talents Project of Blue". JIT has been awarded the National Characteristic Specialty (NCS) award for one program, the Provincial-level Key Specialties (PKS) award for two programs, the Provincial-level Special Disciplines (PSD) award for four programs, the Provincial-level Excellent Teaching Team (PET award) and the Provincial Higher Education Talent-Cultivating-Model Innovative Experimental Base (PHETIEB) award for one program. Equipped five Provincial Demo Centers of Experimental Teaching (PDCETs) in the area of electronics, economic management, artificial intelligence architecture, civil engineering and arts design, JIT takes the responsibility of over 400 state-level like National Natural Science Fund, provincial-level and municipal-level research projects. Seven municipal-level or above Research Platforms with Industries (RPWI) including Jiangsu Information Analysis Engineering Lab, Jiangsu Intellectual Property Strategic Research Center, Jiangsu Fire Protection Engineering Tech Center, Jiangsu Mikes Meat Ware Engineering Tech Center have been built up in JIT and quite a lot of research outcomes have been transmitted into industries with excellent economic and social benefits. Over the years, huge amount of practical-oriented talented graduates of JIT have contributed to the development of local society and economy and are quite popular among employers. Notched with over-95%-employment-rate graduates in bachelor degree education, JIT has earned her first-rate place among suppliers of practical talents in local social development. JIT pays constant attention to international exchange and cooperation. Since 1995, eight offshore tertiary universities in seven countries ranging from Australia, New Zealand, Canada, France, Austria, Netherlands, U.S.A and 5 universities in Taiwan have linked with JIT in cultivating talented graduates with open minds, international views and practical competency by international joint diploma and bachelor degree programs. Nominated for Nanjing Civilized Unit (NCU) award, Deserved Unit of Nanjing Development (DUND) award for twice, Nanjing May 1st Labor Award (NMLA), Top Employment-rate Universities of Jiangsu (TEUJ) award, Jiangsu Harmonious Campus (JHC) award, National Award of Home of Employees (NAHE), Jiangsu Top Award of Publicity and Education on Laws (JTAOPAL), JIT has been focused on being local-society-oriented and practical-oriented. Locked up the goal as basing on Nanjing, creating features, and keeping upgraded, JIT sticks to implementing the Nanjing Strategy, Science and Technology Strategy, Resource Strategy and Quality Strategy and spares no efforts in build herself into a top-notch practical university with characteristics, multiple disciplines and practical competency by 2020.